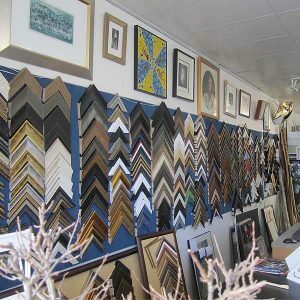 Expert Custom Framing By Master Craftsman in Belconnen and the greater Canberra Area. 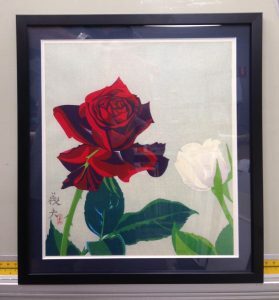 Established over thirty years ago, we are the trusted provider of custom framing services in Belconnen for your valued artworks, precious memories. Be it photographic memories, children’s masterpiece or valuable and rare artworks of your favourite artist or your own masterpieces. Perhaps you have keepsakes from your holiday like shells or stones you found, or baby’s first socks, to a signed footy jumper of your favourite team you wish to protect for posterity and present it in one of our large range of frames. From simple to elaborate we are sure to give attention to detail and do a very best to make you happy for many years to come. Here at Belconnen Picture Framing we provide a wide range of services here in Belconnen. Memorabilia framing of your ticket and photos from a concert or football match to name a few. We can stretch any painted canvas for artist and any oils painted on canvas you have purchased on quality purpose made stretcher bar. We Stock a wide range of exciting products for all types of art and memorabilia presentation. From Traditional, for Certificates perhaps, to understated and ornate frames. We can find the perfect accompanying frame for each and every piece along with a wide range of artistic and creative variations to help bring out the best of any item framed. Here at Belconnen Picture Framing we are passionate about giving your the best possible advice a services. With decades of experience you can trust us to preserve your precious items in a frame of your choosing. For expert advice Belconnen Picture Framing is the one stop shop for all who want the very best result for their valuable items to be framed. This is why all our products and materials are chosen for the best quality, aesthetics and durability.